Enjoy the top 32 famous quotes, sayings and quotations by Tim Challies. We deliberately forget because forgetting is a blessing. On both an emotional level and a spiritual level, forgetting is a natural part of the human experience and a natural function of the human brain. It is a feature, not a bug, one that saves us from being owned by our memories. Can a world that never forgets be a world that truly forgives? Technology presents us with a unique spiritual challenge. Because it is meant to serve us in fulfilling our created purpose, because it makes our lives easier, longer, and more comfortable, we are prone to assign to it something of a godlike status. We easily rely on technology to give our lives meaning, and we trust technology to provide an ultimate answer to the frustration of life in a fallen world. Because of this, technology is uniquely susceptible to becoming an idol, raising itself to the place of God in our lives. We may well find that if we are to fulfill God's mandate on earth, we will need to communicate less often so we can communicate more. We will need to forsake the ease and the pace of quantity for the reflective significance of quality. The simple fact is, you are not the point of your life. You are not the star of your show. If you live for yourself, your own comfort, your own glory, your own fame, you will miss out on your very purpose. God created you to bring glory to him. Productivity-true productivity-will never be better or stronger than the foundation you build it upon. Each of us has had plenty of experience with technology, but few of us have the theoretical or theological tools to make sense of the consequences of our use of technology. When you ought to be working on your computer, you are only ever one or two clicks away from checking out your friends on Facebook or welcoming a few minutes of mindless entertainment on YouTube. Text messages provide a welcome distraction from deep thinking, and binge watching the latest series on Netflix can set you back a week. You are surrounded by temptations to laziness and may succumb far more often than you think. Motivation gets you started, but habit keeps you going. You need to use those times of high motivation to build habits and to embed those habits in a system. That way, when motivation wanes, the system will keep you going. 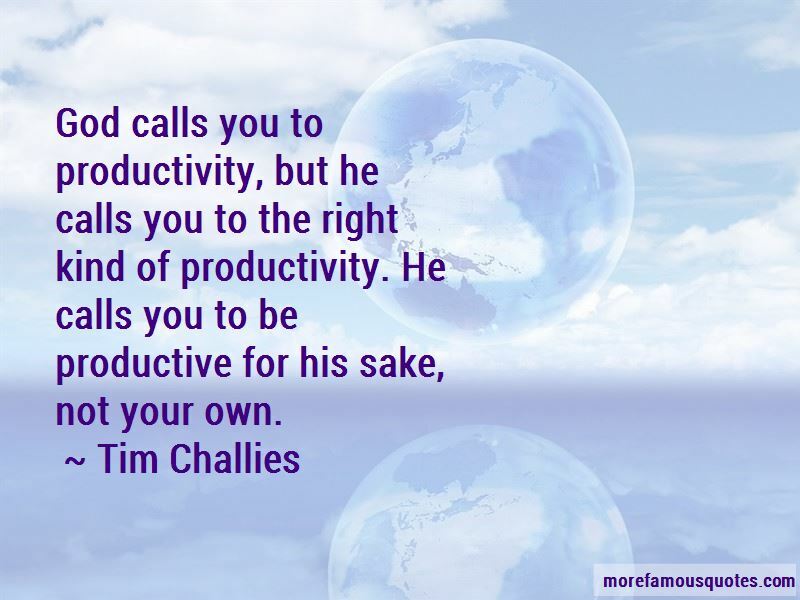 Want to see more pictures of Tim Challies quotes? 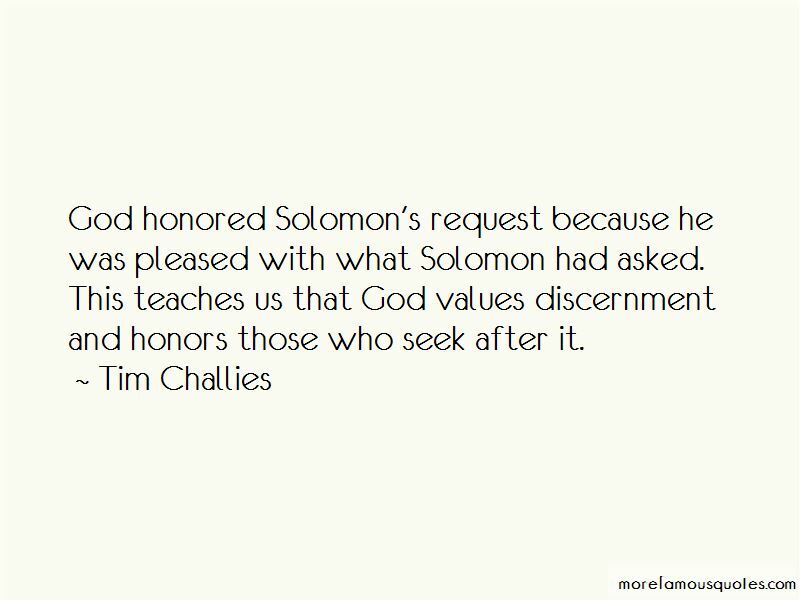 Click on image of Tim Challies quotes to view full size.